Fortunately, much can be done to prevent and reduce the likelihood of harm. First, the employer should use less hazardous processes if feasible. If hazardous processes are unavoidable, the next step is to remove the maximum amount of dust and fumes from the atmosphere by local exhaust ventilation at source. 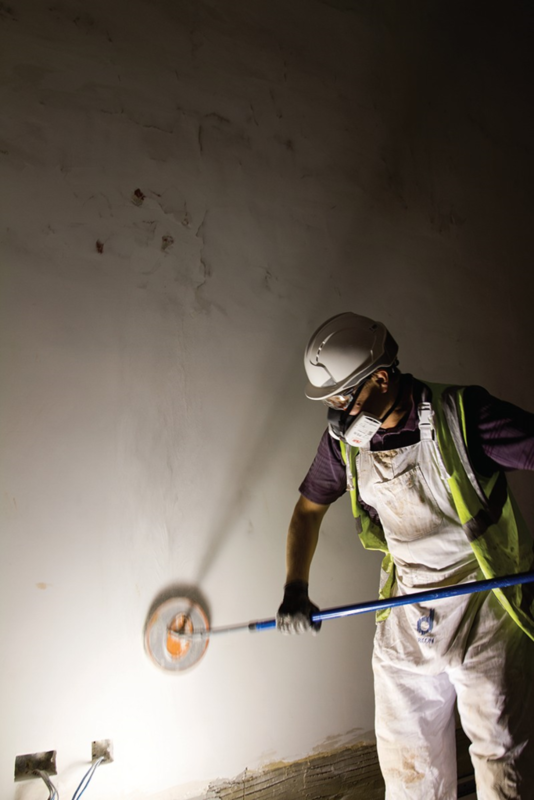 But, although ideally these would all be extracted and hazards completely eliminated, often this cannot practicality be done, so the employer has a duty to provide respiratory protective equipment (RPE). Exposure to dust and fumes is covered by the Control of Substances Hazardous to Health Regulations 2002 (COSHH) - www.hse.gov.uk/coshh. Each type of respiratory product must also conform to its own individual standard. These include EN149 for disposable dust masks; EN140 for reusable half masks; and EN143 and 14387 covering filters and vapour filters. There is also the standard EN529 for selection, use and maintenance of respirators. In a workshop there are likely to be cutting, shaping or blasting machinery hazards such as angle-grinders for steel, giving off fine particles of metal into the atmosphere; lathes and milling machines using oil-based cooling fluids that may give off an invisible mist; paints, lubricants, adhesives and other chemicals emitting organic vapours and volatile organic compounds (VOCs); cleaning and metalworking fluids releasing vapours and bacteria; and soldering circuitry giving off solder fume. Engineering carries similar hazards to those found in the maintenance industry. Painting may give off dangerous but invisible organic vapours as well as particles, particularly if it is being sprayed, which although cannot be seen, can be smelt. However, if you get a strong smell, it’s too late to put on your respirator. Often in spray painting, workers using powered devices lift up their face shields to look at their work, so getting no protection at all. Selecting the right sort of unit that enables the user to see properly whilst still getting respiratory protection is essential. First, the type of hazard a person is being exposed to, and how much of it, must be ascertained. Dosimeters can be used to assess the hazard concentration and determine what assigned protection factor is required. RPE must be both adequate and suitable for the individual wearer, the tasks they are doing, and the environment in which they are working. RPE should be chosen to ensure it is suitable for a particular individual and fits them perfectly. 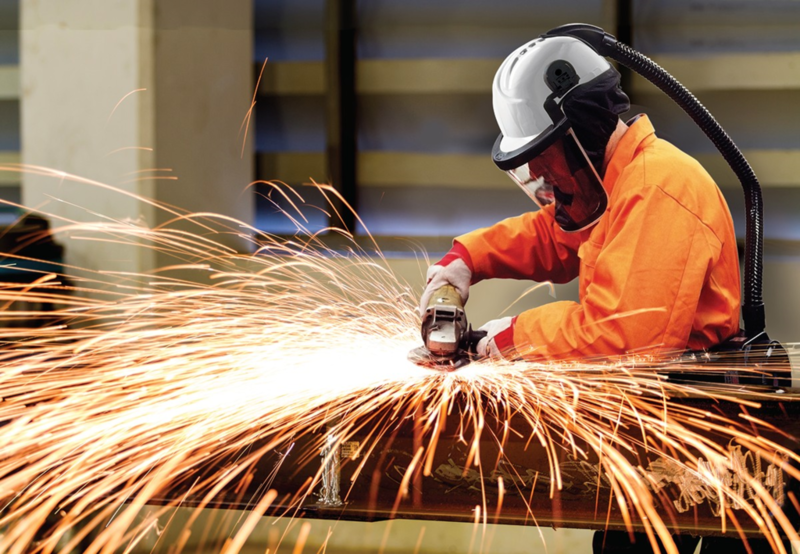 For instance, if a worker is using a tight-fitting respirator of the EN149 or 140-type, people must be clean shaven or their respirator will not protect them. If they sport a beard, they should wear powered air devices (EN 12941). Ease of use is another factor to consider. For example, an air conditioning maintenance engineer cannot climb ladders with a huge bottle of gas on his back. So the RPE must not only be suited to the hazard, but also suited to the task and the person. Wearers must know when to use RPE and how long it can be worn before they need a break, or it needs changing. Sweat can also build up, altering the fit of the mask. Wearers need to keep checking to ensure a correct fit, both initially and during wear. It is also vital to be familiar with how it feels when masks and filters are exhausted, such as when blocked by metal particles from an angle grinder, or wood fibres from furniture making. If the filter blocks, the person will start to breathe in air around the edge of the seal, so leaving them with no protection to their airways. Finally, people using reusable products such as EN140 half masks need to understand how to clean, store and inspect them, to ensure they continue to work. If all these measures are taken, maintenance and engineering will be as safe as possible for those who work in these industries.